simply this is just good mobile. its android version is too old so many apps cant install on it, and in the boottm of cell given buttons so does look not nice. its touch screen is very smooth. mohammad, 11 Jul 2013is very good but cpu is low.and how android 4.1? thank you very muchLag like old man! Download app2sd from play store. fre, 24 Jul 2013every time i download applications to my X8 it just say download unsuccessful. I have just ref... moreDoing that is not enough. That's a soft reset - you need to hard reset the phone. Try repairing it with PC Companion. Or better yet, root it and install a 2.2+ ROM. You would not only solve that problem but also many others. What good is 2.1 to you? 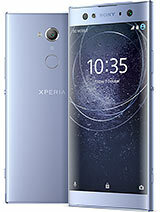 Total of 6032 user reviews and opinions for Sony Ericsson Xperia X8.